The latest 7 wonders expansion. Is it any good? Spoiler Alert: Yes, yes it is. Read about it here. 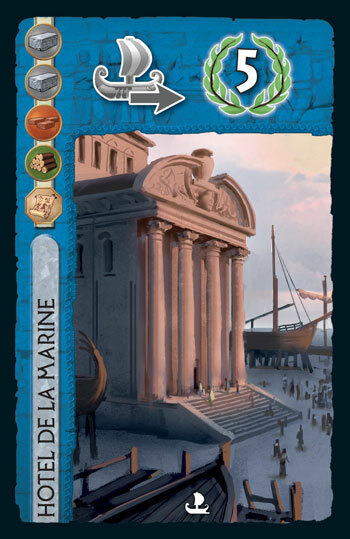 The set up remains pretty much the same, you add the same amount armada card to each age as there are players, in the same way the black cards are added in Cities. The islands are shuffled according to their age and put in 3 face down decks. 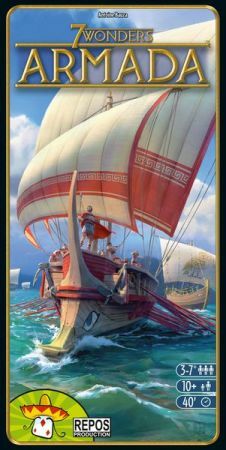 Give all players a fleet board, which is to be placed next to the wonder, and each players recieves ships of each colors; Red, Yellow, Green, and Blue. Military conflict is now refered to as Ground Conflict. Shields are now Ground Shields. The new cards are called Armada Cards. After the the Ground Conflict, there is now a Naval Conflict stage, where you make naval warfare against ALL other players. You may now move a ship on you fleet board when you discard a card, instead of gaining the 3 coins. There is now a cap of 10 points for the guild cards. This is the biggest gameplay changer, but it's pretty straight forward. A player who has played a Red, Yellow, Blue, or Green card will have the option to pay an additional cost in order to move the ship of the same color one space on the fleet board. 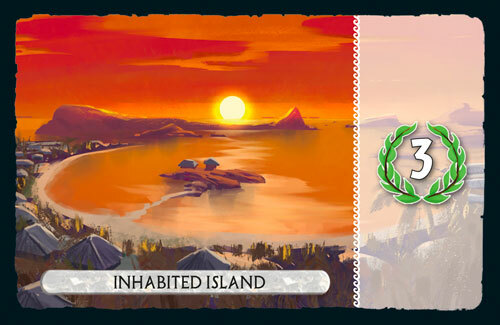 The islands are discovered with the Green tack on the fleet board and gives you access to private resources, Ground Shields, Naval Shields etc. This expansion was bound to add more interaction between players, for example to wake war on your non-neighbors in 4+ player games, which it suceeds with. One extra card per age is nice, which makes it 9 in total with Cities. More paths to victory, thanks to the fleet boards, and the islands. Straightforward rules, if you have played 7W before this will not be a problem to get started with. You now have another options except the 3 coins when discarding a card, which is nice. The science cards (the green cards) might make going for 1 type of science stronger than collecting the sets. Might be hard to keep track of oponents naval strenghts. Ship miniatures tend to fall off the tracks from time to time. This expansion makes good on its promises on increased interaction, and adds alot of content without slowing the game too much. Pick up the expansion here! Don't have the base game? Well what are you waiting for, it's one of the best games out there. Get it here.